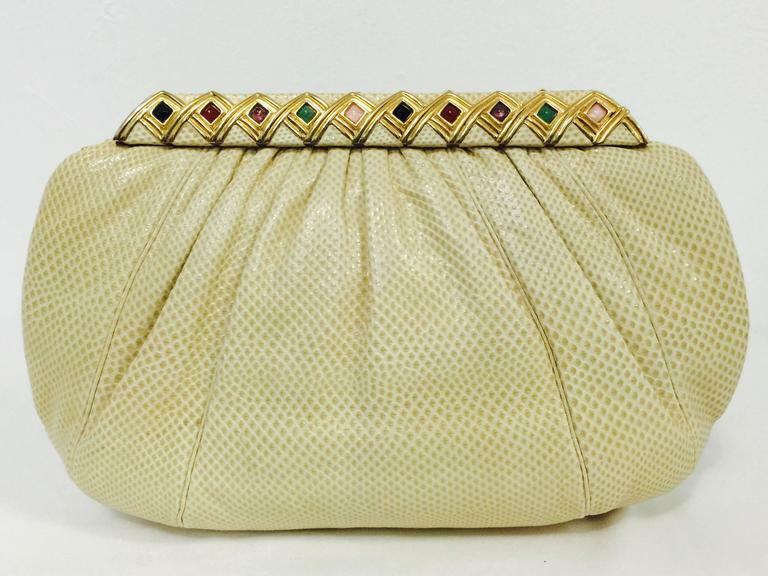 This Vintage Judith Leiber Bejeweled Tan Lizard Convertible Clutch is no longer available. 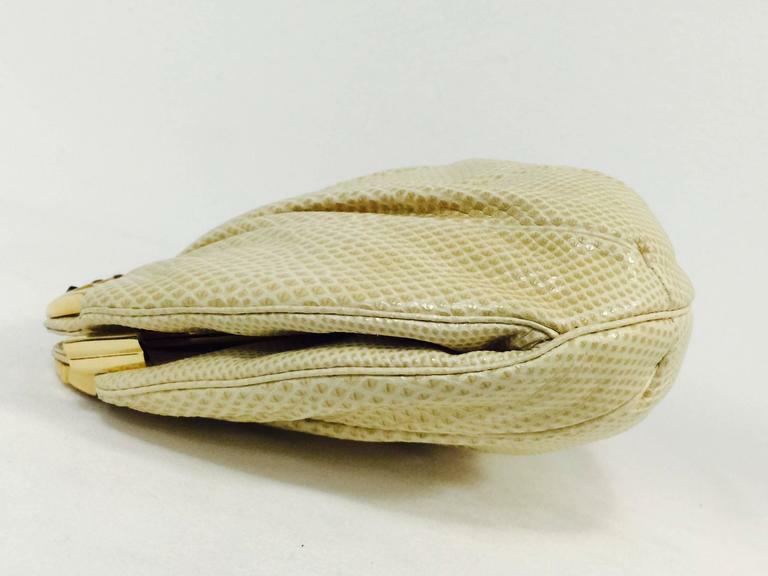 Vintage Judith Leiber Bejeweled Tan Lizard Convertible Clutch is highly desired by all collectors of Judith Leiber! 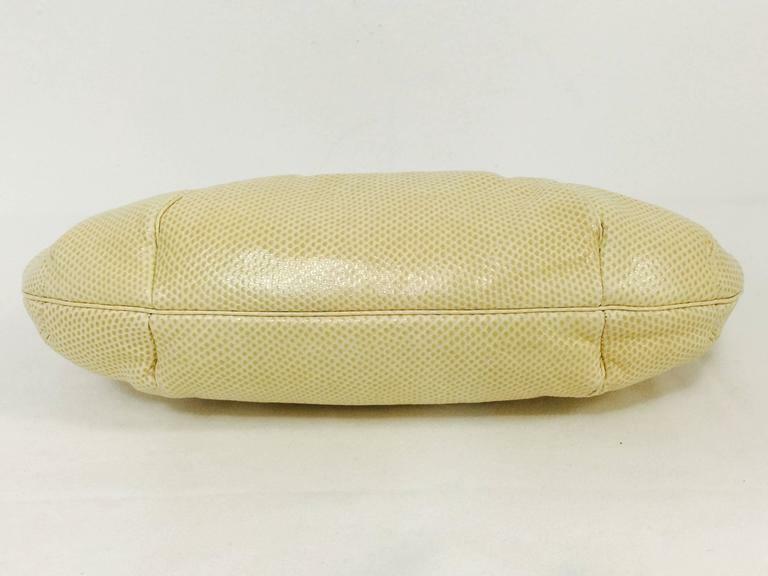 Features slightly gathered, butter-soft lizard skin. 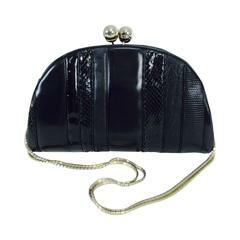 Larger than the typical Leiber bag, easily converts from clutch to shoulder bag using lizard strap with minimal effort! Forgiving gusset accommodates more items as necessary. 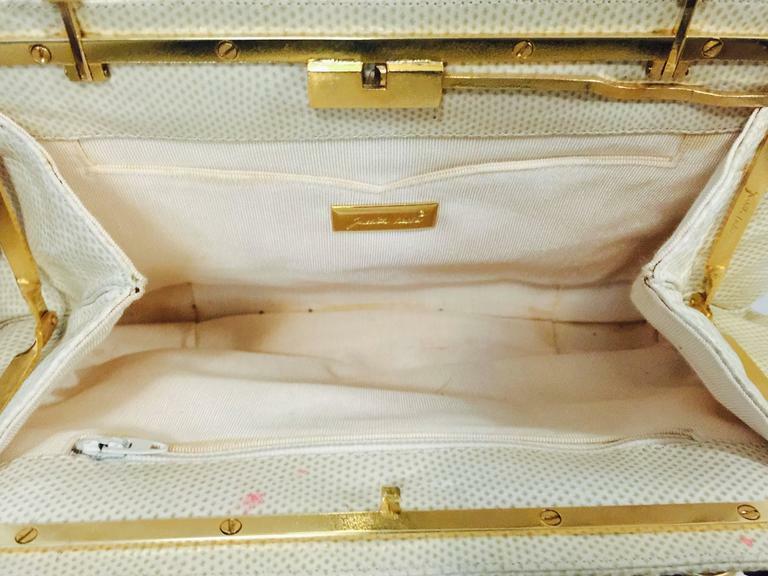 luxurious fabric interior has one flat pocket and one zippered compartment. Jeweled closure features exquisite jewels including, onyx, jade, tourmaline and amethyst. Gold tone architecture-inspired bars decorate the top. 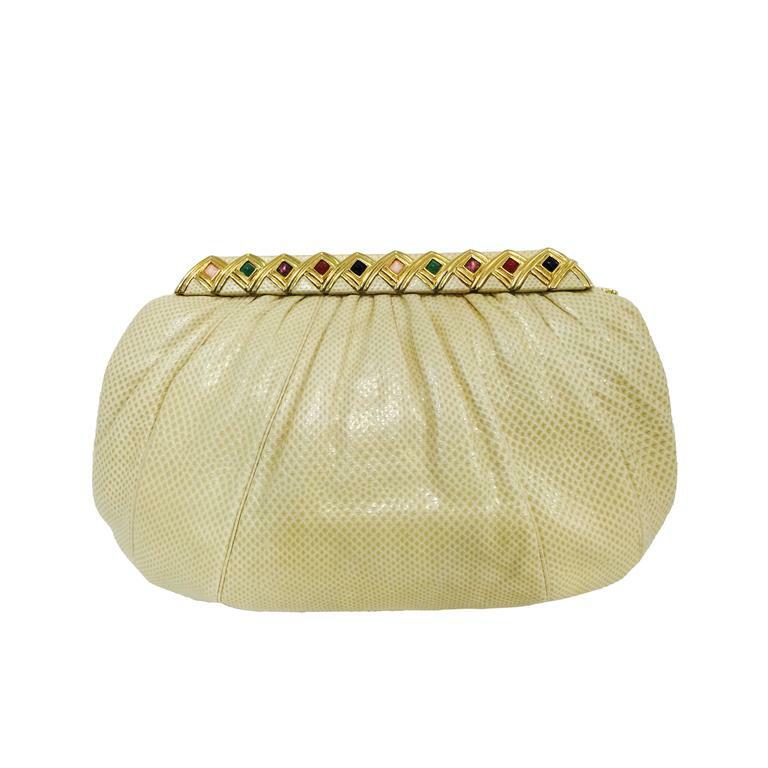 This larger evening bag proves that Judith Leiber is much more than just the "Queen of Minaudieres". Mirror and comb included for your primping needs! Made in Italy. Shoulder Strap Drop: 19.5". Dust bag included. 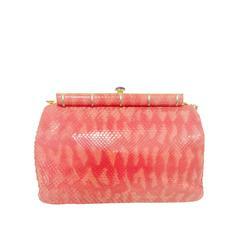 Judith Leiber Small Red Silk Clutch with Beaded Shoulder Straps.